While Taco Bell is a firmly American-style brand—less-than-authentic Tex-Mex food served through a window (okay, and sometimes in a fancy cantina)—the beloved chain is picking up steam outside the U.S. In the past year alone, Taco Bell has entered the market in Australia, China, Finland, the Netherlands, Peru, Romania, and Sri Lanka, bringing the brand’s reach to 30 countries. To celebrate that global takeover, this year’s National Taco Day celebration is set to include 20 of those locales recently added to Taco Bell’s international footprint. 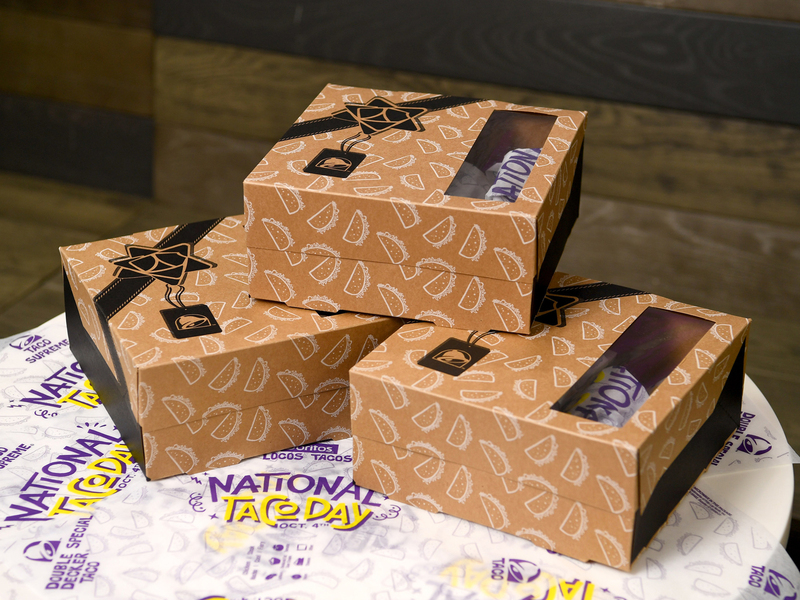 On Thursday, October 4, fans in the U.S. will be able to purchase a $5 National Taco Day Gift Set, a collection of various tacos to enjoy or give to a loved one. Taco Bell is also selling National Taco Day shirts online and in stores to mark the occasion. Some international promotions will include exclusive merchandise in Australia and free tacos with purchase in Sri Lanka.